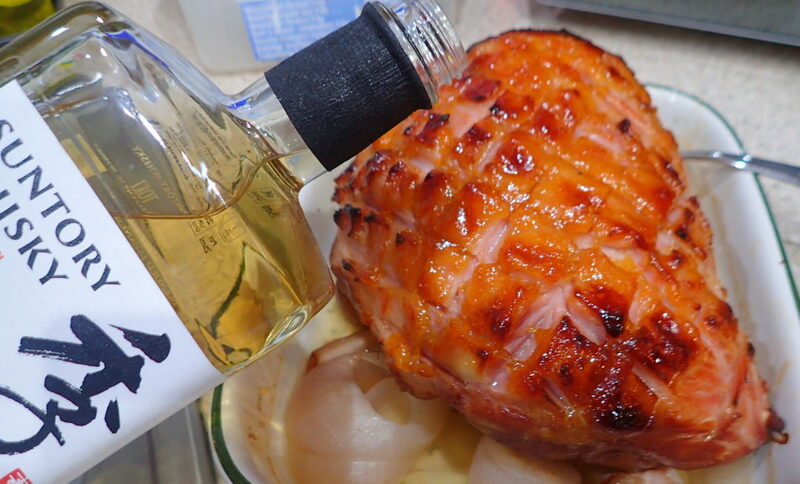 For the last day of 2018 I decided to bake a whiskey glazed ham with Christmas flavours. I bought a smoked gammon joint and it was 2.5 kg in weight. Woke up early and soaked it for about 10 hours, changing the water a few times. 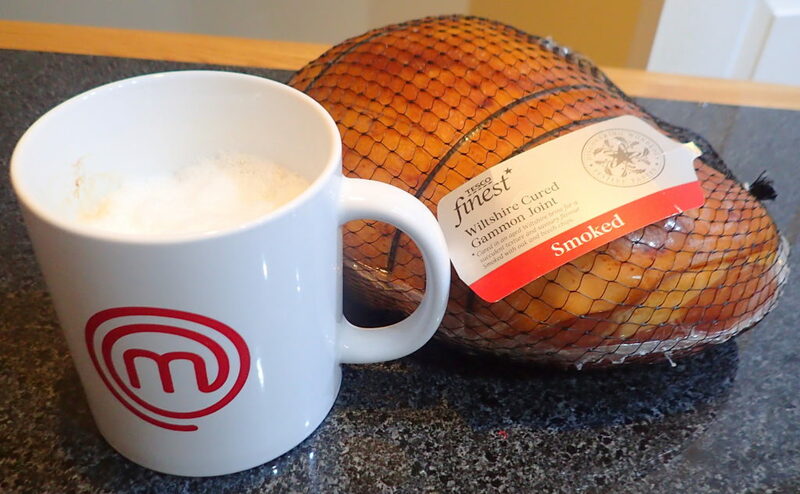 Smoked gammon joint has a better taste than unsmoked joint and I prefer to use smoked gammon joint. 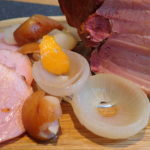 There is nothing to stop you using unsmoked gammon joint however so it is entirely up to you. Once you have tried it you can adjust your seasonings, use different seasonings etc. Create your own. 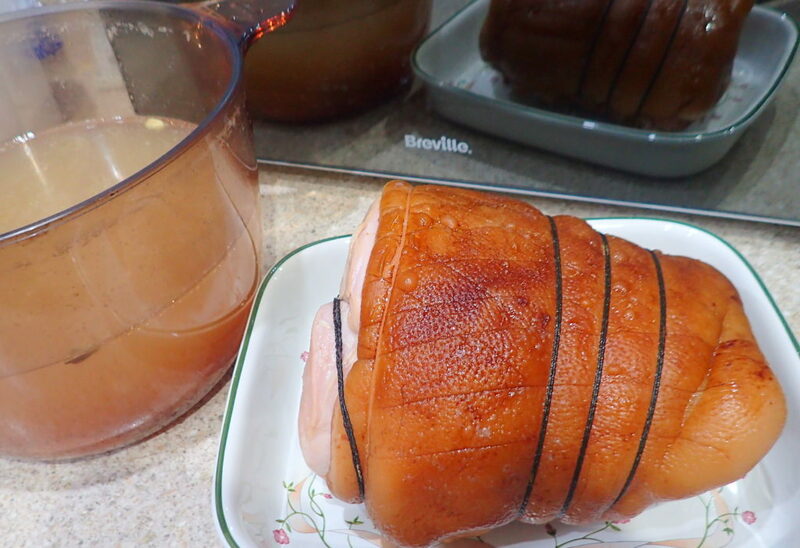 Once baked you can slice as much of your ham as you want to eat and keep the rest unsliced so they stay juicy and moist. You can also portioned them and vacuum seal them to keep longer. I portioned and vacuum sealed mine to make it easier for my boy lollipop to make his sandwiches or have a ham salads. 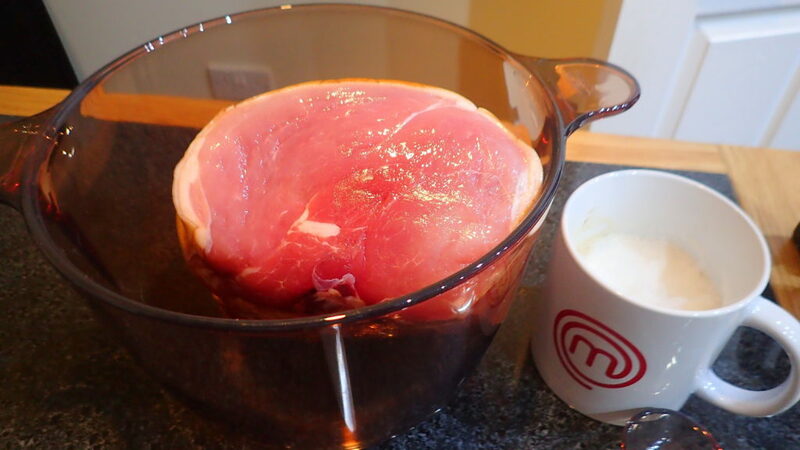 Once you have made your own ham you will not eat the supermarket tasteless salty ones again. Enjoy! Soaked the smoked gammon overnight or a good 10 hours, changing the water a couple of time. This is to remove the saltiness. 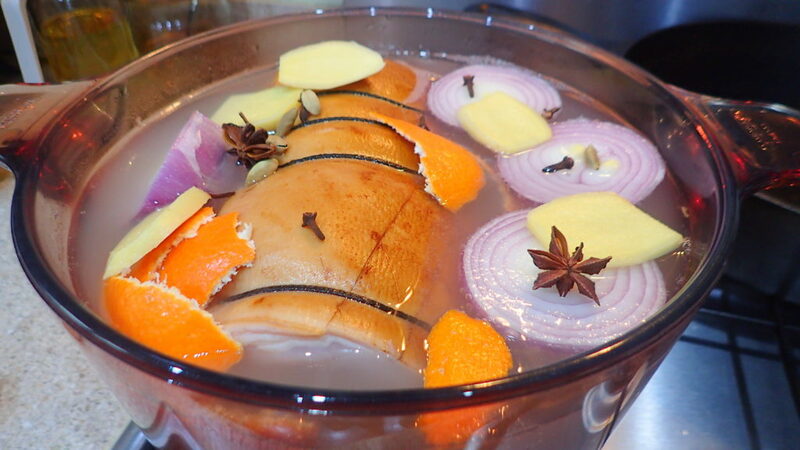 Leave the gammon in the ginger beer stock till it is cool to touch. 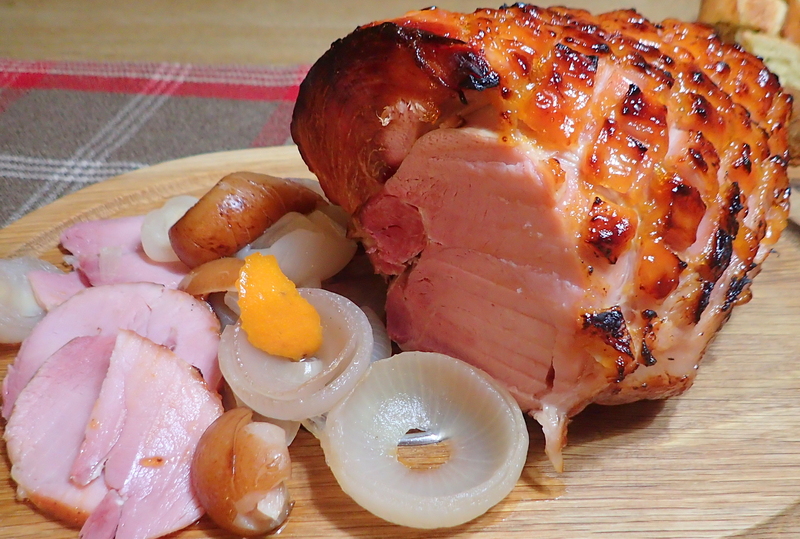 Remove the gammon and and place on your roasting pan. 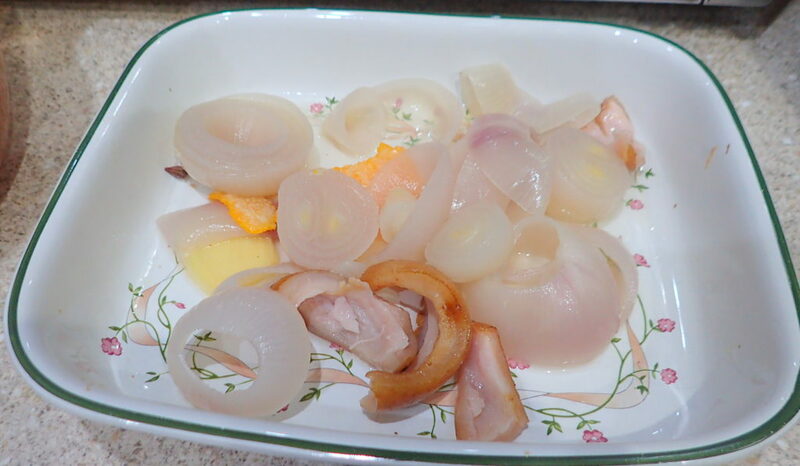 Line your roasting pan with the onions and some stock to ensure the juiciness. 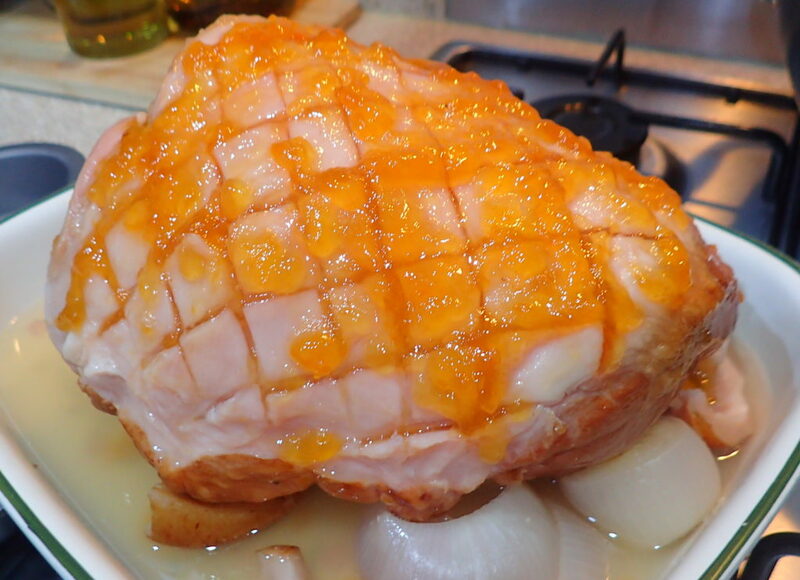 Use a sharp knife and remove the skin of the gammon and score the fat. 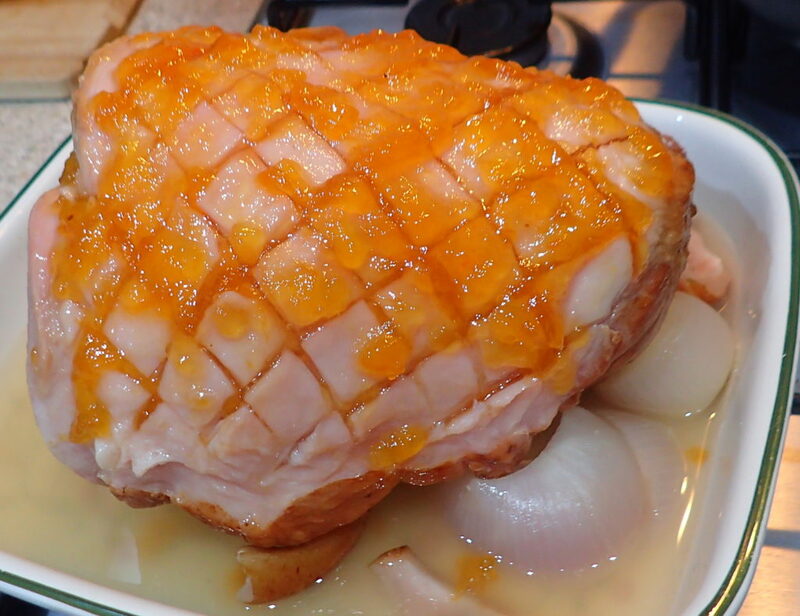 Mix the Seville Orange Marmalade jam with a tablespoon of whiskey and smeared the top of the gammon. Place into a 180 C fan assisted oven for 25 to 30 minutes until it is golden. Remove from oven and then drizzle again with another tablespoon of whiskey. 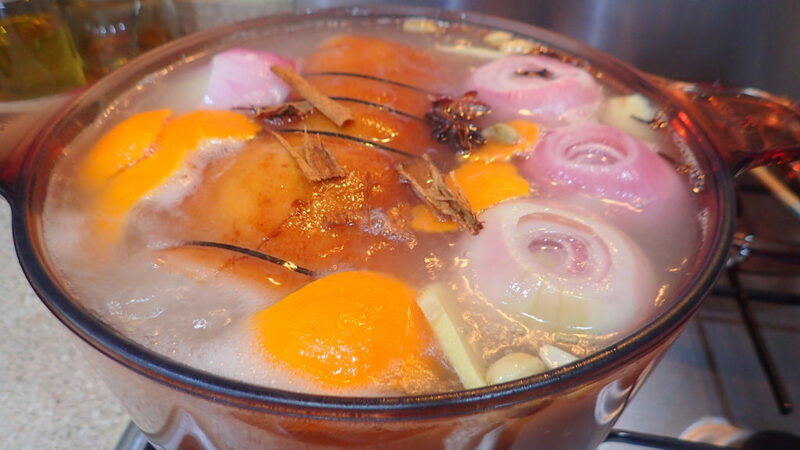 Bring to boil and simmer according to weight.